TOYDIRECTORY > LIKEABIKE/SECOND THOUGHT PRODUCTIONS LTD.
About LIKEABIKE/SECOND THOUGHT PRODUCTIONS LTD. 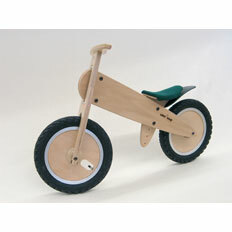 The LIKEaBIKE is a unique toy vehicle for children between the ages of two and five. Riding a LIKEaBIKE is incredible fun for kids! At the same time, it's highly beneficial for the development of their motor skills and sense of balance. Mastering how to ride a LIKEaBIKE will give your child a huge boost in confidence.